Another birthday card! Yeah, about that...I really need to work on more bday cards, I seriously have NONE in my stash, and it's sad when a card maker has to run to the store to buy a last minute bday card, haha! I'm using this month's SFYTT layout for my card! 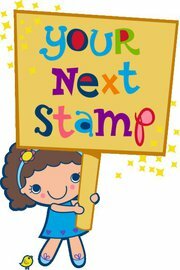 This month, our challenge is sponsored by a wonderful company called "Your Next Stamp!" 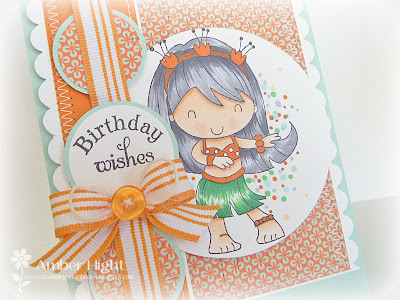 And my card, using the adorable Kali from Hawaii! Don't forget to take advantage of YNS's amazing offer! Thanks for stopping by today, hope you have a wonderful weekend! I started out with this piece of patterned paper from Authentique, and then went through my PTI stamps, since it's been SOO long since I've pulled them out! I thought I'd stamp this big flower to match the flowers on the paper, it turned it just like I was hoping! 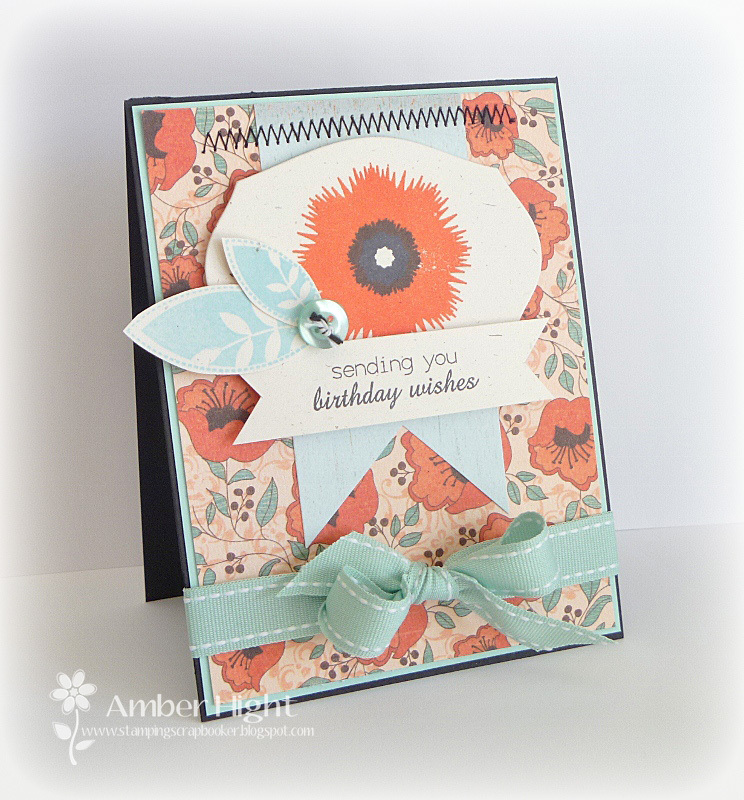 I stamped the flower on a die cut from Mat Stack 1 and then added the leaves and button. 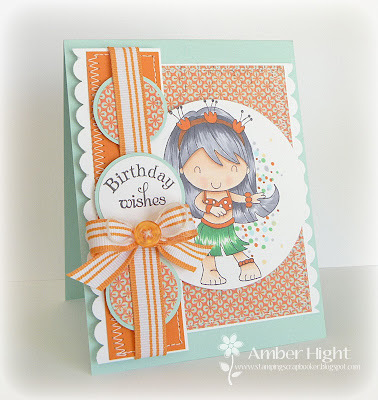 I hope you can play along with us this week:) Stop by Jen's blog to see samples from the rest of the girls and our FABULOUS Guest Designer, Amy! Here's my card using the Fashion Karber set! 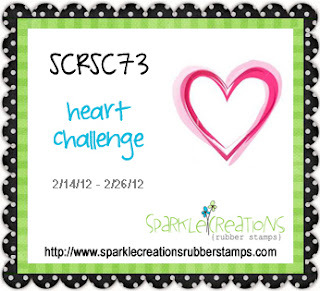 You have until Sunday, 2/26/12 @ 9 PM PST to play along with the current challenge, which is to use at least a heart on your creation. To play along in our challenge, upload a photo of your project and provide a direct link in the linky widget at the bottom THIS POST. If you use an online gallery (e.g. Splitcoast), please also use the keywords SCRSC72 and SparkleCreations (no spaces). 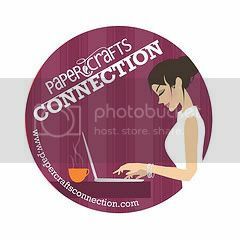 If you have a Facebook account and are a fan of Sparkle Creations Rubber Stamps, you can also upload there. 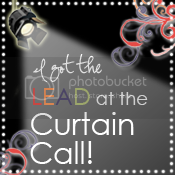 Deadline for challenge #73 is Sunday, February 26th @ 9 PM PST. Thanks for stopping by today! Surprise Blog Hop for JULEE!!! I don't know if you heard, but our Julee is expecting TWO blessings! That's right, she's having TWINS! How exciting is that? I just can't wait to see pictures of those two little guys, they're going to be just SO amazing:) A group of ladies got together and decided to have a surprise blog hop for Julee, using this week's Mojo Monday sketch! I was having big time mojo problems so my 3 attempts were simply not going to work. I am so sorry to not have anything to show you today, but I wanted to at least make sure I wasn't the weak link in the chain, lol! Make sure you hop along to all these girls blogs to see what they've come up with and of course you MUST stop by Julee's Blog to offer her congratulations!!! Your next stop on the hop is Marisa!!! I have been quite the busy girl lately, getting settled with my new job, new city, all that fun stuff...and then last week my momma came to visit me! Billy had to go play war games for awhile, so mom wanted to keep me company:) She left yesterday though (so sad!) and I have a three day weekend, so I did some stamping this morning to catch up on some deadlines I missed, lol! 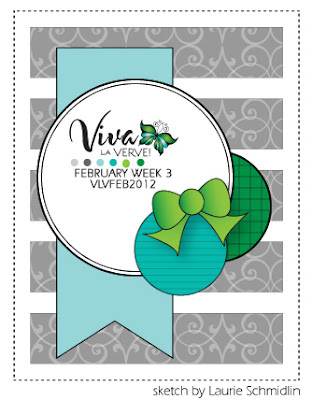 First up is this week's Viva la Verve sketch challenge! Laurie is our sketch artist this week and I sure love her sketch! I thought all those vertical strips would be PERFECT for using some of those old scraps I have stuck in my 6x6 paper pads. 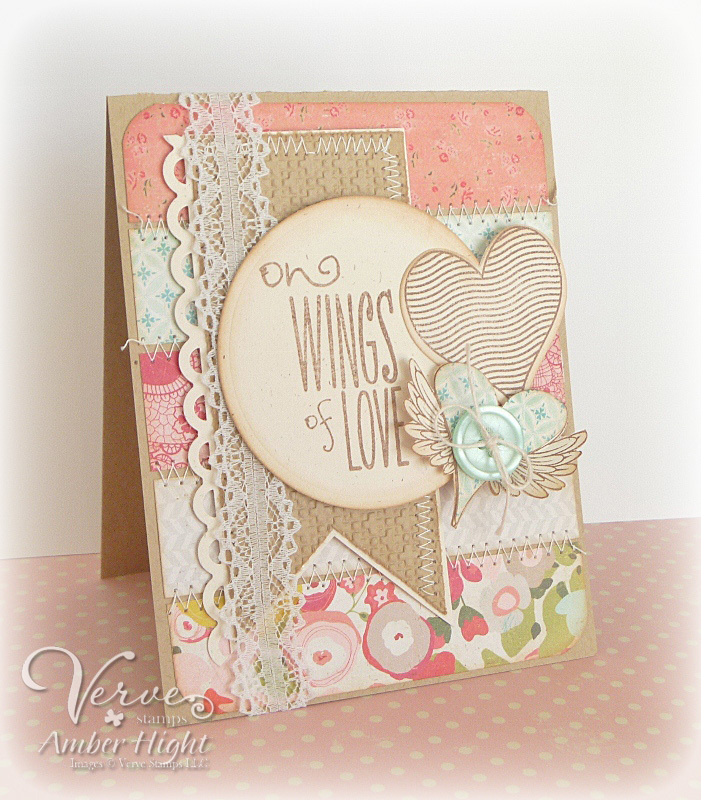 For my card, I used scraps from Crate Paper's "Paper Hearts" collection and "Wings of Love" by Verve! I was also able to use my fabulous "Wavy Hearts die set" to cut those hearts out. I really love this sketch, hope you guys can play along! Visit our forums for the details and to share your cards! 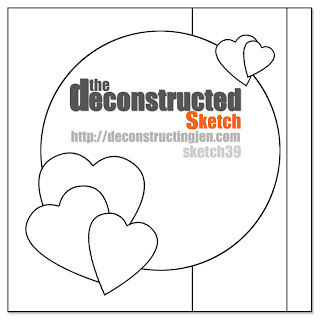 Next up is my late card for this week's Deconstructed Sketch! I stamped the little butterfly/angel from "Butterfly Kisses" in gray Fresh Ink and then added some stickles to her wings! The sentiment was stamped on a tag created with the Grommet Tags from Spellbinders and TCM's coordinating "Timeless Tags" set. 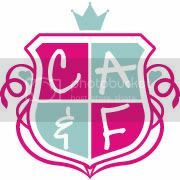 The papers are from OA's Farmhouse. I really love the shabby theme lately, can you tell? LOL! 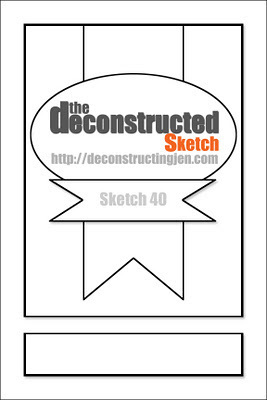 Be sure to check out the rest of the Deconstructed Sketch challenge team's cards! Thanks for stopping by today, I'll be around more often now that I'm getting all settled! Good morning!! I'm here this morning with a peek at a new stamp, now available, from Sparkle Creations Rubber Stamps! All new stamps are now available to buy from the SCRS store! Click here or above on the Buy Stamps link to start shopping now. 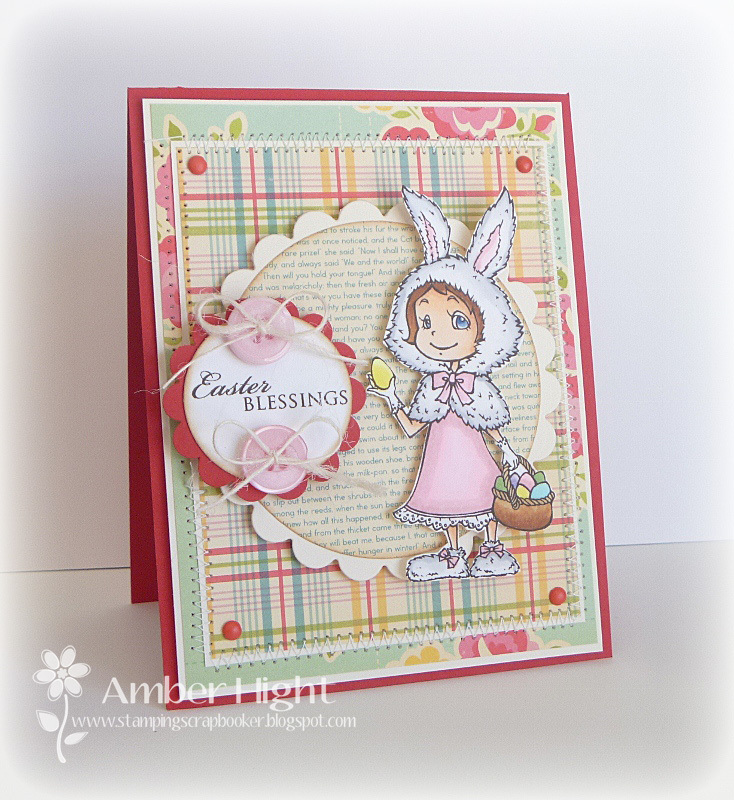 We are also previewing the darling 'Easter Bunny Ruby' stamp today - isn't she the cutest? She is simply ADORABLE in her little bunny shrug:) The papers are from OA Sidewalks (Love this paper!) 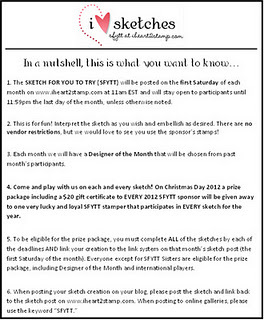 If you like the layout, you can thank Jen D for that;) This is the February SFYTT! 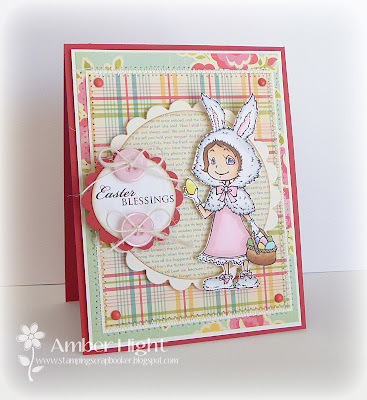 Be sure to visit our fabulous SCRS designers for more peeks of Easter Bunny Ruby. Sparkle will be giving away a Easter Bunny Ruby rubber stamp to one lucky person! For a chance to WIN, you need to visit and comment on all of the designers' Easter Bunny Ruby blog posts (listed below) and then leave a comment under this very post here on the SCRS blog. You have until midnight EST tonight to comment. 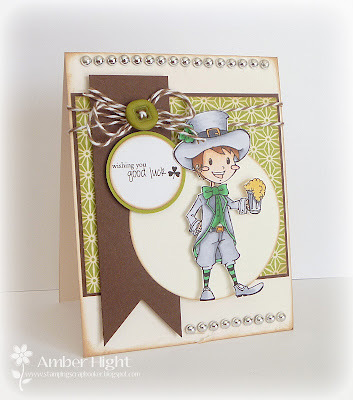 Sparkle Creations Sneak Peeks: Leprechaun Oliver! 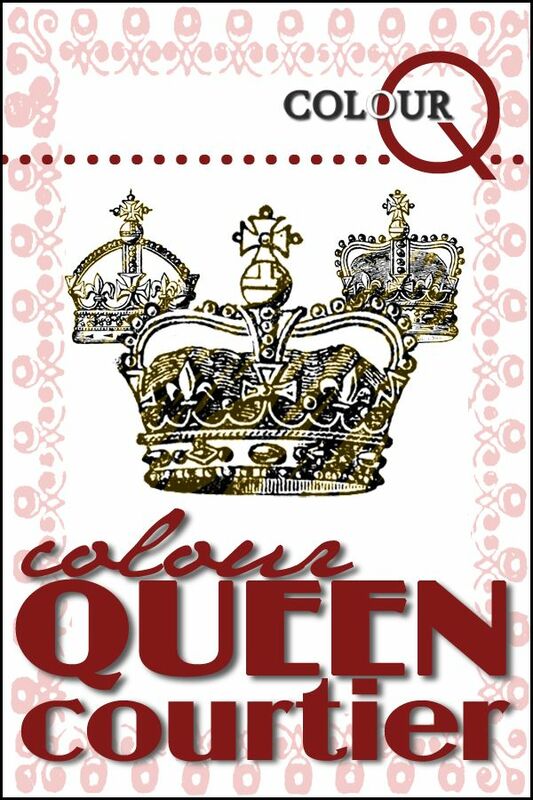 Is anybody ready for a new release from Sparkle Creations Rubber Stamps? Sparkle has the most ADORABLE stamps coming out this Saturday, you just don't want to miss this release! 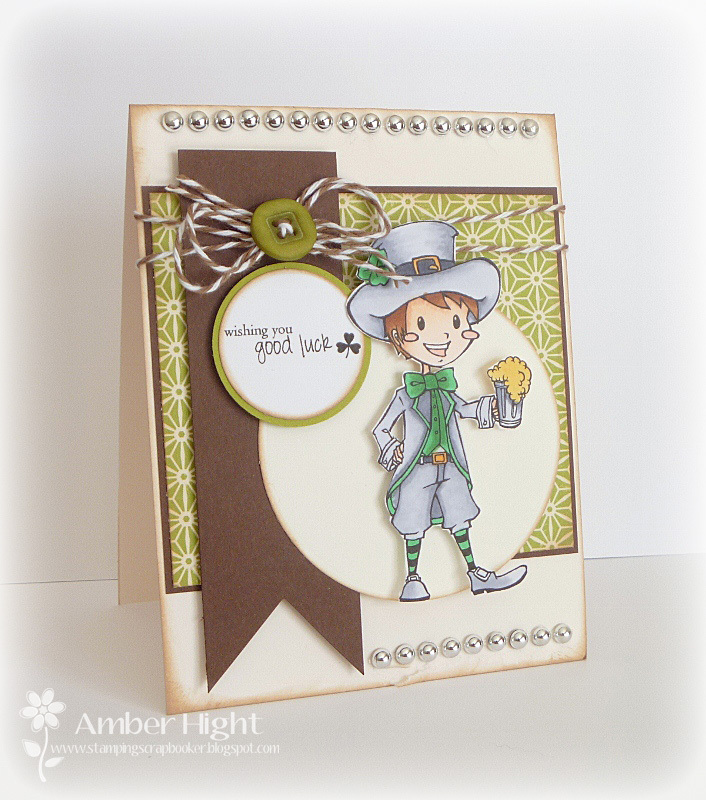 Today, the team is previewing an adorable new Oliver stamp, meet Leprechaun Oliver! The green paper is from OA's Sidewalks collections and I colored Oliver in to match:) Isn't his little suit *SO* adorable?? You like the sketch? 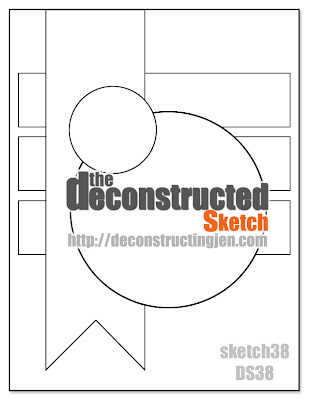 This is this weeks Deconstructed Sketch Challenge! You simply MUST play along, it's a really fabulous sketch:) I will be keeping this one in my stash for sure! Also be sure to visit all rest of the SCRS designers for more peeks of Leprechaun Oliver. Sparkle will be giving away Leprechaun Oliver to one lucky person! For a chance to win, you need to comment on all of the designer's blogs (list below). Then head on over to the SCRS blog and comment on the Oliver post. You have until midnight EST each day to comment. The lucky winner will be announced the following day! 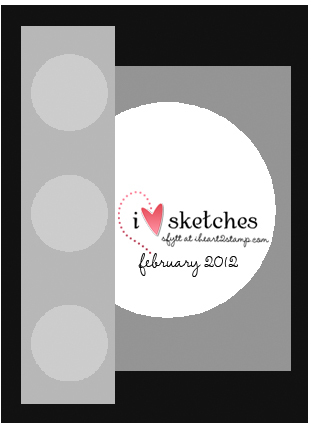 Here's our sketch for this month, it's another awesome one! I used papers from BG and the sentiment stamp is from PTI. Wanna play along this month? Here are the details! Just head on over to Jen's blog and link your cards up on THIS POST. Thanks for stopping by, we can't wait to see your creations!